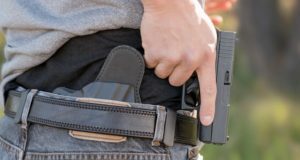 This 2 hour CCW course is designed for experienced firearm owners who are looking to obtain or renew their permit in the shortest amount of time. This course will cover current Arizona laws pertaining to the use of lethal force, where you can/cannot carry a firearm, traveling with your pistol and interaction with law enforcement. All instruction is taught by certified pistol instructors approved by AZ DPS. Upon successful completion of this course, you will qualify for the Arizona Concealed Carry Weapon Permit, pursuant to ARS §13-3112.N. 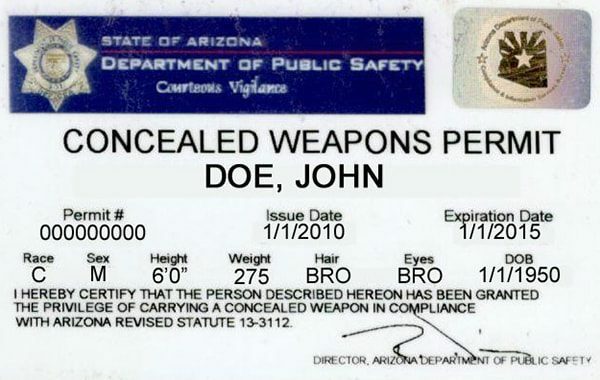 (Subject to eligibility verification by Arizona Department of Public Safety). 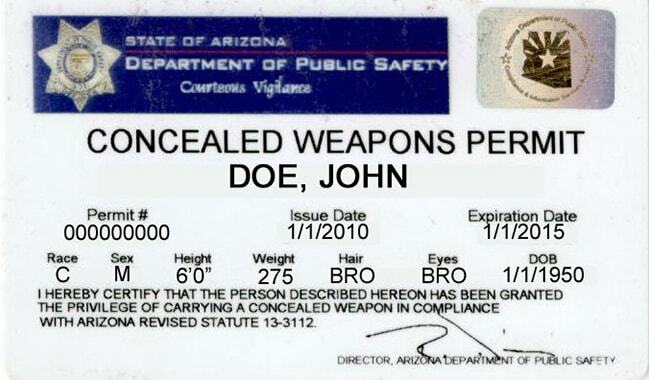 Currently, the AZ CCW is recognized in 37 states (View Reciprocity List). For those looking for a more comprehensive CCW course, see our Daily Carry (Enhanced CCW). Great Class. Simple and to the point without wasting our time or treating us like idiots. So glad I took this class instead of where I did CCW the first time. Night and day difference with the instructors and their knowledge and insight. This was a very informative course and I enjoyed the way the instructors taught it by keeping it interesting. I have recommended it to several friends and family members. This was a great class! Dan presented the essential information thoroughly and clearly understandable. He then went beyond the requisites and provided the class with even more valuable insights, clearly demonstrating his expert skills and subject matter knowledge. Money well spent! Condensed version with a lot of meaningful things that we all should learn/know. As usual, Dan does a great job!!! This is a class everyone should take.